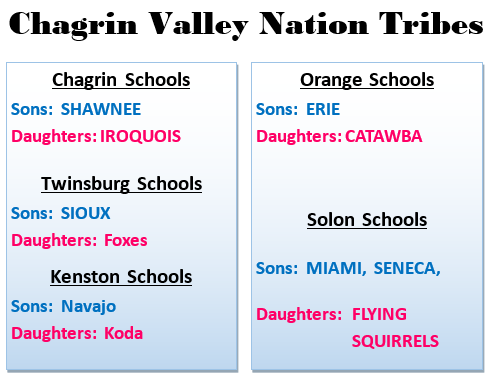 This page contains details on upcoming Native Daughters events. Please consider bookmarking this page in your web browser. Events are planned by our Longhouse Representatives every month. If you would like to become a representative for your tribe, please attend a meeting. All members are welcome to attend. Please check with your tribal rep to find out when the next meeting is. To attend any of our events you must become a member. Register Now to become a member. Come join us this year for some great events – Registration IS NOW OPEN!! Don’t forget your tribal apparel including sweatshirts and t-shirts which are now available at Rube Adler Sporting Goods in Solon (next to Giant Eagle). Just go in and tell them which tribe you are in and your Native Daughter/Big Brave name and they will take care of you. Wearing your colors is important to your tribe. It shows unity and that you care about your tribal name and colors. Be sure to purchase a sweatshirt to put your patches on and possibly a t-shirt for warmer days. If you already own a shirt with our old logo, it is not necessary to purchase a new shirt. 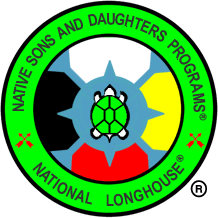 For any questions please contact the Native Daughters Chief.